Trillian is a Pit Bull...and she's got a geeky name. I'm guessing the Sci-fi fans figured it out already! She's named for the heroine of A Hitchhiker's Guide to the Galaxy (book series, radio drama and movie). 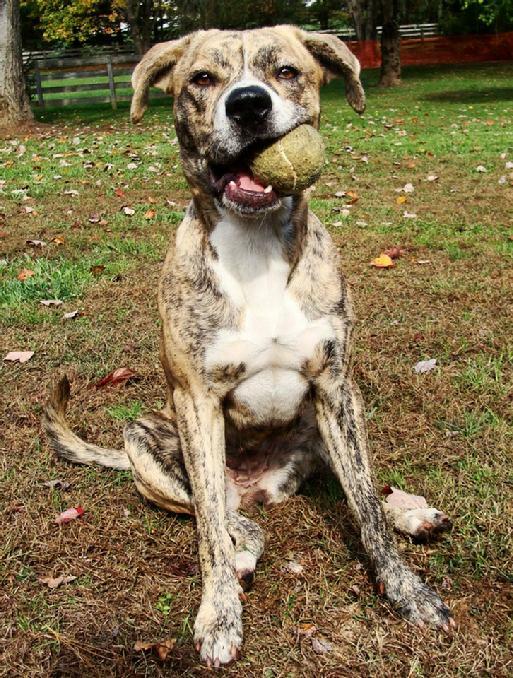 Trill was found in a abandoned apartment, and came to Red Rover to be a foster dog...but ended up staying. She's very sweet and easy to live with...but get her outside with a TENNIS BALL, and she's a supreme athlete. Trill will do anything for a tenny. So she has decided to make her page about Tricks that you can train your dog to do!